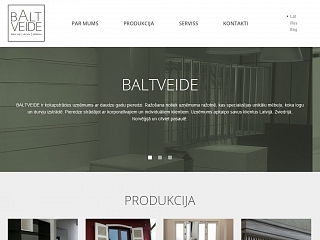 BALTVEIDE is a woodworking company with many years of experience. Production takes place in the company's production facility, specializing in unique furniture, wood window and door making. Experience working with corporate and individual clients. We offer a complete service from design to installation of the product. turned wood parts, decorative elements.